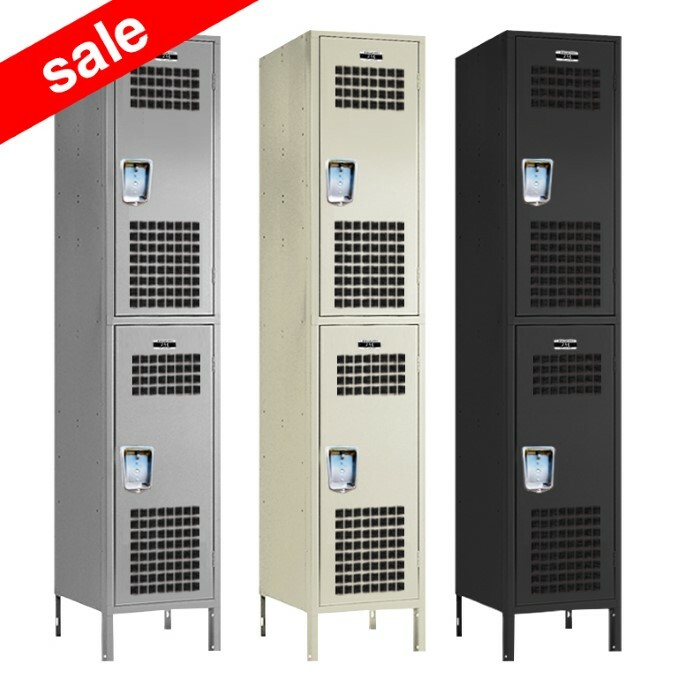 These Blue 2-tier lockers without legs are available on www.buyusedlockers.com where they have a huge selection to choose from if we need additional supplies. These 2-tier lockers are in good overall condition and are completely functional. They ship to you fully assembled and ready to use. Each compartment is 12" wide x 12" deep x 36" high in columns that are 72" high overall.